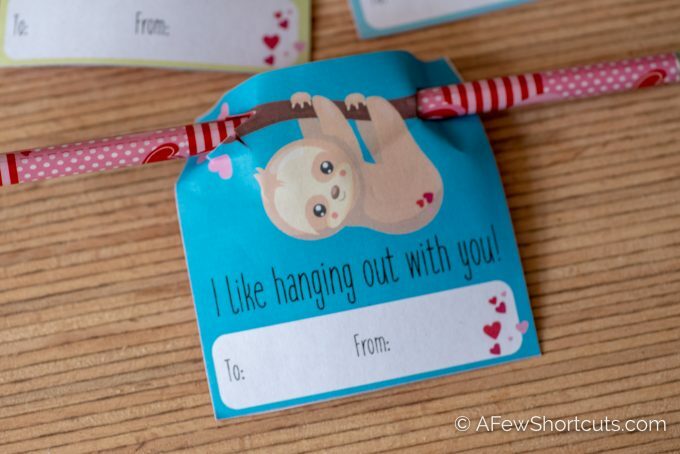 Print your own adorbale Sloth Valentines Day Card with this free printable! Download, Print, and share! 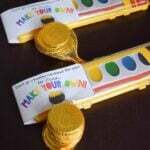 Attach a pencil or lollipop for added fun! 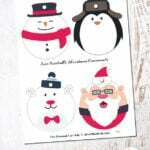 I love love love sharing fun printables with you! It is so much fun to me to create these adorable Valentine’s Day Cards to share with you. Today I sat down and designed this super cute Sloth Valentines Day Card! These Valentine Day Cards print 4 to a sheet. You will get 2 sayings; “I like hanging out with you!” and “I like you slooowwww much!”. Both of these sayings are very neutral and perfect for a class party. 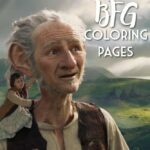 They could be used for any age group too! 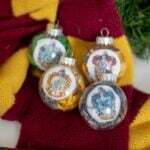 You can also check out these Harry Potter Valentines, Star Wars Valentines, and Super Hero Valentines. They are all free to download and print here on A Few Shortcuts! 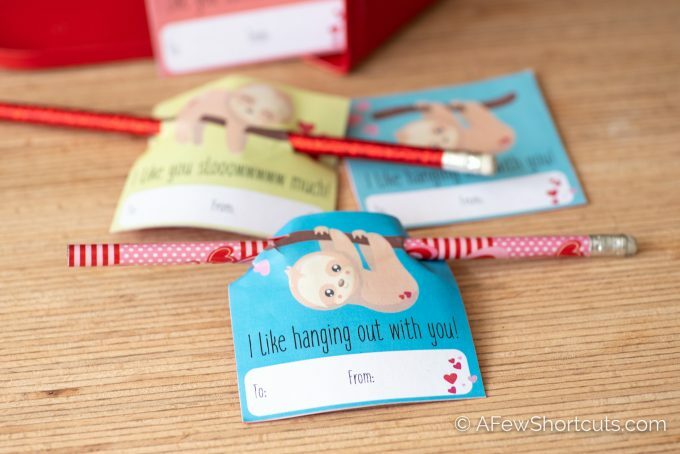 You can even take it a step further and punch holes in the card and attach a cute valentine’s pencil or even a lollipop for the sloth to “hang” on. You can find the valentines’ pencils at the dollar tree. I believe I got a 10 pack for $1! Another non-candy treat that you could add would be a glow bracelet. I found it easiest to cut the valentines with an exacto knife to get the pencil through since it s a bit thicker. You could just use a hole punch if you planned on using a lollipop. There is also a clear spot for the TO and FROM at the bottom of the card to make it easy for your child to fill out their cards! 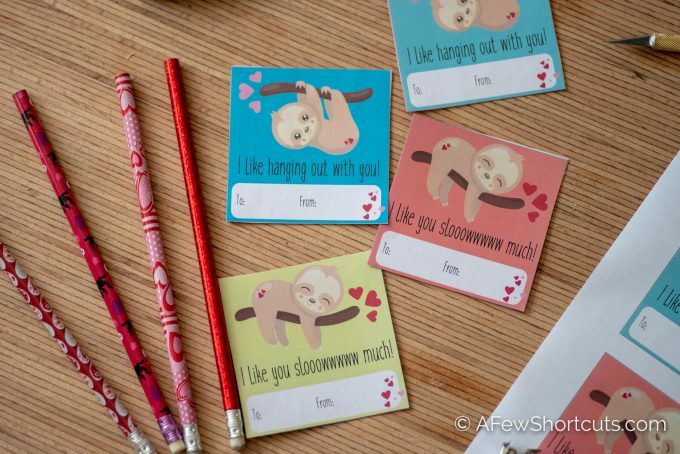 These would be unique, and insanely adorable to hand out at any class Valentine’s Day party! Download and print these Sloth Valentines Day Cards now. These Valentines print 4 to a sheet. 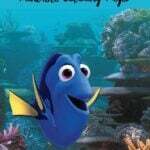 Just print them on card stock and cut out!